High net worth individuals and family offices can have complex financial needs. From business acquisition to bridge financing and everything in between, let CalPrivate Bank work with you to develop an individualized solution that works specifically for you. Working seamlessly with our Cash Management Suite, we provide a comprehensive solution for each of our Private Banking Clients. We offer a full array of lending solutions to fit your specific needs. Talk to us and let our relationship team develop a customized lending solution that works for you. Serving business owners and investors across Southern California, CalPrivate Bank values the long standing and trusted relationships with our outstanding clients. Your success is our success. Learn more about the unique and personalized experiences our clients have encountered while working with our team. Premier real estate education company, with systems, tools and coaching for real estate investor businesses. The size we are today attributes a lot to having the right banking partner, and that’s CalPrivate Bank. Improving how people live, work and play by developing a diverse collection of hospitality and lifestyle concepts. We break down everything in our company to relationships. CalPrivate really believed in what I was doing. Restaurant and bar concepts, contributing to the dynamic culture of the city, cultivating memorable experiences. When we see an opportunity where we can bring a vision to fruition in a project, CalPrivate bank has been there to bring that dream to reality. 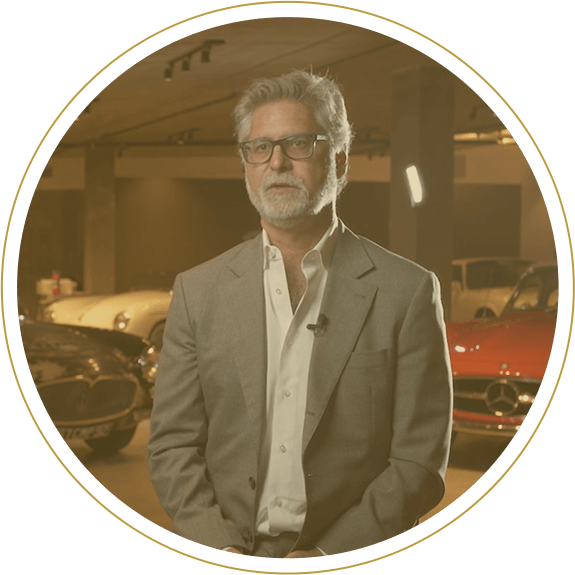 Jonathan Segal, a nationally acclaimed, award winning architect, developer and car collector extraordinaire. I would highly recommend CalPrivate to anyone else that has a unique need. They specialize in needs that a typical bank wouldn’t give you the time of day. Full-service agency specialized in strategic marketing plans, which help brand businesses and add to their bottom line. CalPrivate bank really has taken the the time to listen to me, and created a situation for us that has been a really positive experience. Keep cash available when your business needs it most. A line of credit can provide working capital to satisfy your business’ short-term financial needs. When used correctly, it can serve as an excellent financial tool for businesses. An unsecured business line of credit provides borrowers with access to cash which can be accessed when needed, paying interest or fees on the amount used, and paid back according to specific terms. CalPrivate Bank makes both secured and unsecured lines of credit and loans available to private investors. These facilities allow investors to have ready access to cash to close investment opportunities. CalPrivate Bank loan executives are in the locales we serve and are able to offer timely and on point decisions. CalPrivate Bank Equipment Loans are designed to provide your company with important financing alternatives. We offer equipment-financing options to enhance your technology needs, expand your product lines, or increase your plant’s efficiency. A CalPrivate Bank Revolving Line of Credit provides your business opportunities as they develop. Your business can borrow, repay, and borrow again up to the original amount committed throughout the life of the loan. A line of credit can be used to fund seasonal changes in inventory and receivables, to take advantage of vendor discounts, or meet unexpected cash requirements. Lines of credit are a cost-effective way to borrow and repay what your business needs when you need it. Customized commercial Real Estate loans are available for individuals and businesses to purchase or improve real property. These term loans are secured by income producing real estate for investors or owners and can be used to finance or refinance. We have a range of term loan options to finance or refinance income producing and owner occupied real estate. Loans are customized to your financing needs. Our construction loans are non-revolving lines of credit secured by real estate. Construction financing is provided for Office, Industrial, Retail, Multi-Family and Residential Subdivisions. Money is advanced through a fund control process, which disburses funds as needed. During the term of the loan, you pay monthly interest only on the outstanding balance. The amount needed for these payments may be included in an interest reserve account and included in total costs. A CalPrivate Bank Letter of Credit can help your business secure the purchase of goods on a domestic or international level. Our lending team will help you structure your trade transactions to avoid the discrepancies and inconsistencies that can cause additional costs, delays and potential loss of business. We provide business start-up loans, loans for business acquisition and partner buyouts, owner-occupied commercial real estate loans, equipment, furniture and fixture and other loans at attractive advance and interest rates. These government guaranteed loans often provide a superior solution for small businesses.